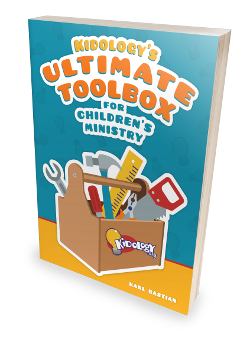 Pastor Karl has been building solid children's ministries and developing leaders for decades and now he has put together a Toolbox loaded with his sharpest tools! In addition to the helpful tools in this 336 page book, Karl has added over 40 bonus downloadable PDF forms and videos to sharpen your ministry skills. If Children's Ministry leadership was a construction site, you'd want the sharpest, time-tested tools recommended by a veteran who had worked on a wide variety of projects. "If you every wished there was a blue print for building a children's ministry - I've got good news for you - there is! Karl Bastian has written it!" - D.B. Prefer digital? Download right now and SAVE $5!